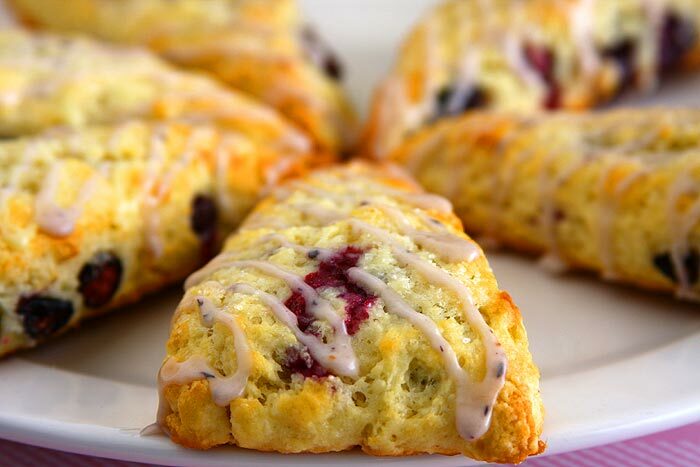 Bakery style buttermilk blueberry scones! That’s a lot of “b”s! I always feel that blueberries are my lucky fruit because whenever I try recipes using blueberries it turns out absolutely great. My husband had bought fresh blueberries from Costco some of which I used to make a healthy blueberry smoothie and had some leftover. 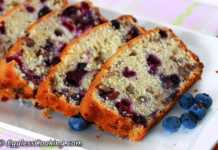 While browsing for blueberry recipes I realized that I have baked vegan blueberry muffins, blueberry bread, blueberry pound cake and more but didn’t have a blueberry scone recipe. It was going to be blueberry scones this time. There were a lot of recipes to choose from, bakery style scones, blueberry buttermilk scones, berry and chocolate chips scones and so on. 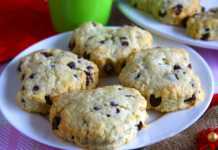 Finally I decided to go with this blueberry scone recipe with some changes. 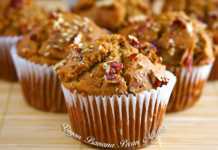 I wanted to incorporate the buttermilk idea from another recipe into this recipe. So decided to use buttermilk instead of the heavy cream used in the original recipe. Since I had a lot of kefir at home chose to use that instead of buttermilk. Also used additional 1/4 cup of kefir as an egg substitute so making it to 3/4ths of a cup of kefir in total. 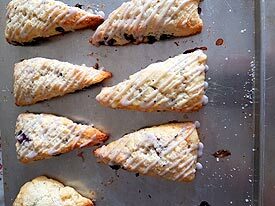 While browsing for blueberry scone recipes in Pinterest I also stumbled upon this amazing pictorial tutorial to make flaky scones. Even though it looked like it was a lot of work I wanted to give it a try and I’m very glad that I did it, because the scones turned out very flaky and bakery style. Also it was not a cumbersome project as it looked like it was. 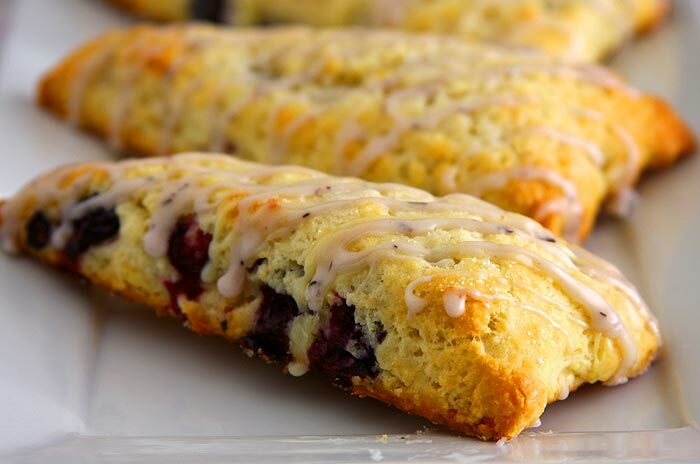 How to make Blueberry Scones? 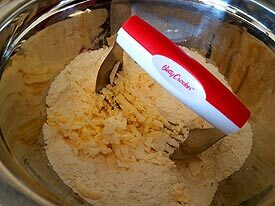 Using the pastry blender, mix well. Roll it into a square. 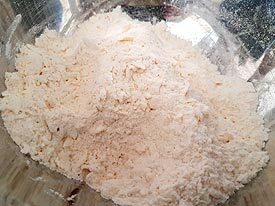 Sprinkle with flour before putting into the freezer. After taken from the freezer. Cut it into 4 pieces. 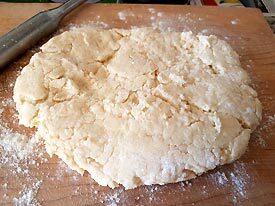 Place it in a baking sheet & put into the freezer. Take it out from the freezer. 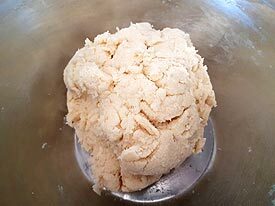 After baking for about 18-20 mins. I bet that once you try this method of baking blueberry scones you would never do it any other way. 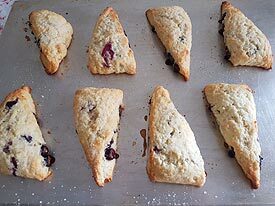 I can’t wait to try other scone recipes following the same method and surprise everyone. 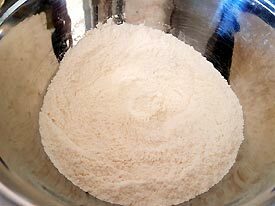 In a large bowl, stir the flour, sugar, baking powder, salt, and orange zest. Add the butter. 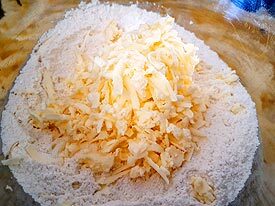 Using a pastry blender or fork mxi the ingredients until it resembles bread crumbs. 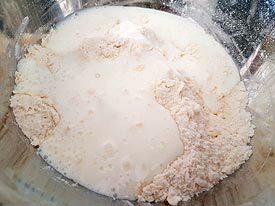 Now add the kefir/buttermilk in a slow stream. 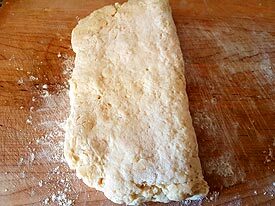 Use a big wooden spoon or spatula to mix and until thick, stiff dough forms. Make it into a ball. 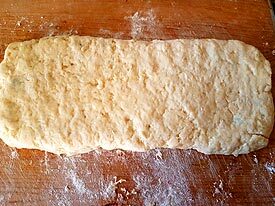 On a lightly floured surface roll the dough into a rectangle. 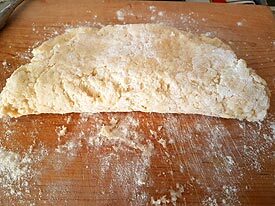 You will have to flour the rolling pin too. 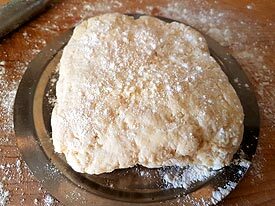 It will be very tricky to get this done because the dough will be sticky but can be managed. Fold the rectangle into half and then into another half. Mine looked more like a semi-circle and triangle. 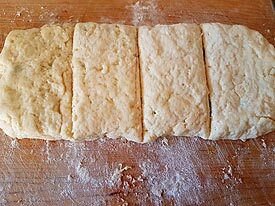 Lightly roll it into a small square. 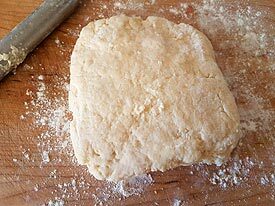 Place it on a floured plate and keep it in the freezer for 5 minutes. 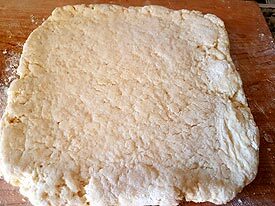 Remove the dough from the freezer and roll it into a 12-inch square approximately. 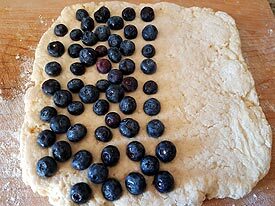 Place the blueberries on one half of the dough and fold it with the other half as shown in the picture and make it into a neat rectangle. Cut the rectangle into 4 pieces and each of the 4 pieces into 2 triangles. 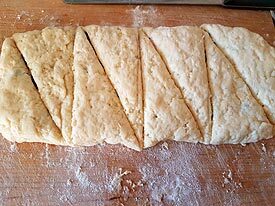 Place the scones on a lightly greased baking sheet and keep it in the freezer for 20-30 minutes. Meanwhile preheat the oven at 400F for 15 minutes. 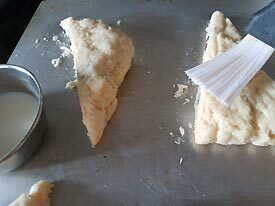 Remove the baking sheet from the freezer and brush each scone with some milk. 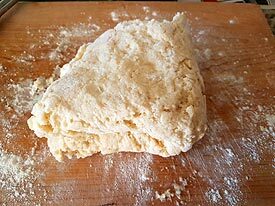 Bake it in the preheated oven for 18-20 minutes. 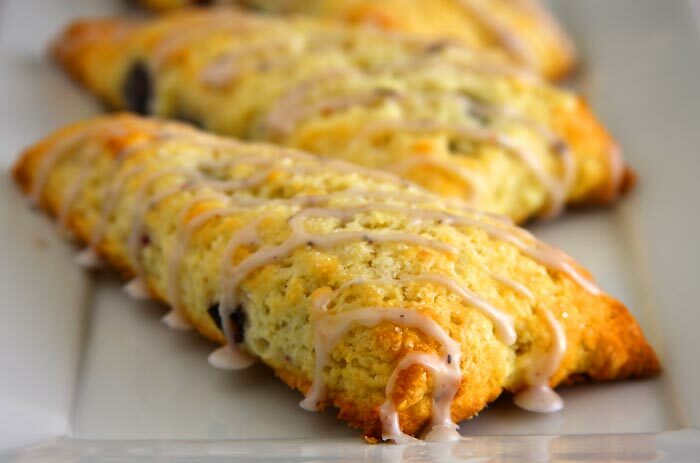 Enjoy warm or drizzle some icing once the scones cool a bit. 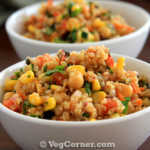 Keeps good for 2 days when stored in an airtight container. Nuke it in the microwave oven for a couple of seconds before serving and it will taste just as fresh as baked. The original recipe had used 1 egg and 1/2 cup of heavy cream which I have replaced with 3/4th of a cup of kefir. 1/4 of kefir for the egg replacement. 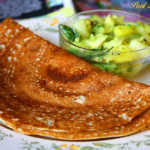 Use buttermilk or heavy cream instead of kefir. 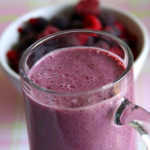 Other add ins like chocolate chips, dried fruits and nuts can also be used instead of blueberries. I wish I had not made these! They are so tender and delicious! I’m trying not to eat more than one. Not sure I will succeed. Thank you for sharing this recipe and technique. 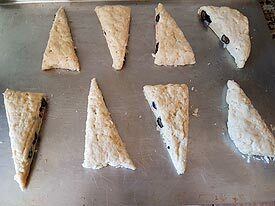 Will never make scones any other way. Aww….that’s the best compliment ever, Diana. 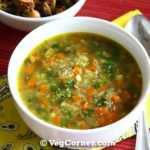 Thank you very much for trying the recipe and for the feedback. I am so happy to have found your website. We just learned of my child’s egg allergy and her birthday is coming soon. Thank you!! 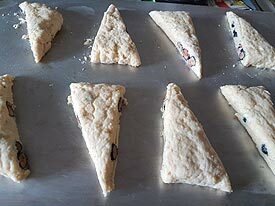 I love scones try the bakery style blueberry scone turn out perfect I’m so happy so easy to make and taste good too. Thank you so much for the recipes.the detail picture also help give us better idea to follow instructions. Can I use soy vanilla yogurt instead of buttermilk or heavy cream. Yes you can Ann. Kefir is not non-dairy. But I have seen that coconut milk kefir is also available these days but I have not used it. How are you Kamal? Enga FB-la kaaname.